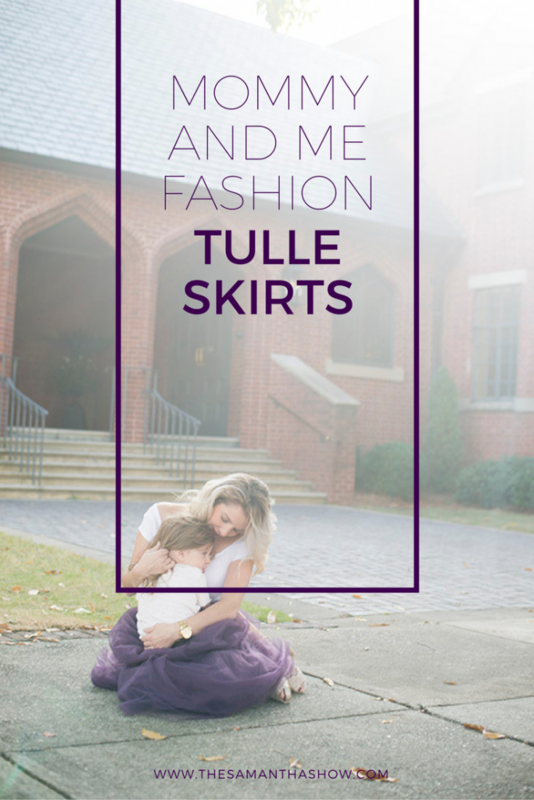 I’ve always had a thing for tulle skirts. 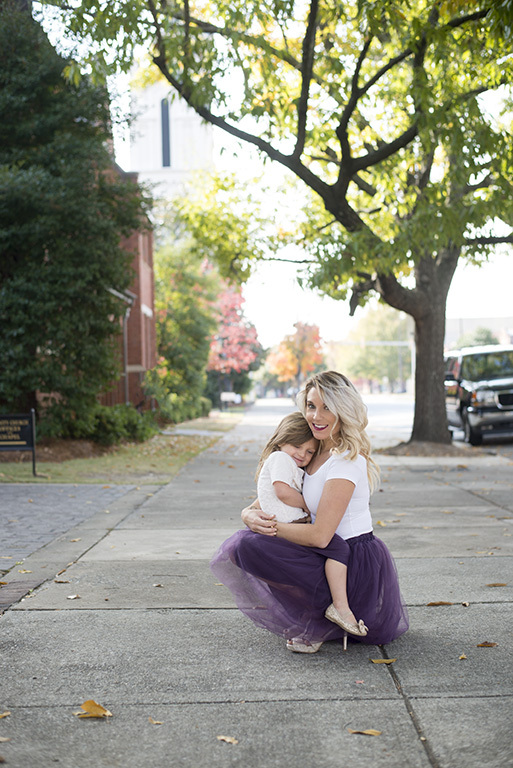 So you can imagine my excitement when my daughter developed an obsession for “tutus”. I had always dreamed of dressing my little girl up in the frilliest and girliest outfits I could find. 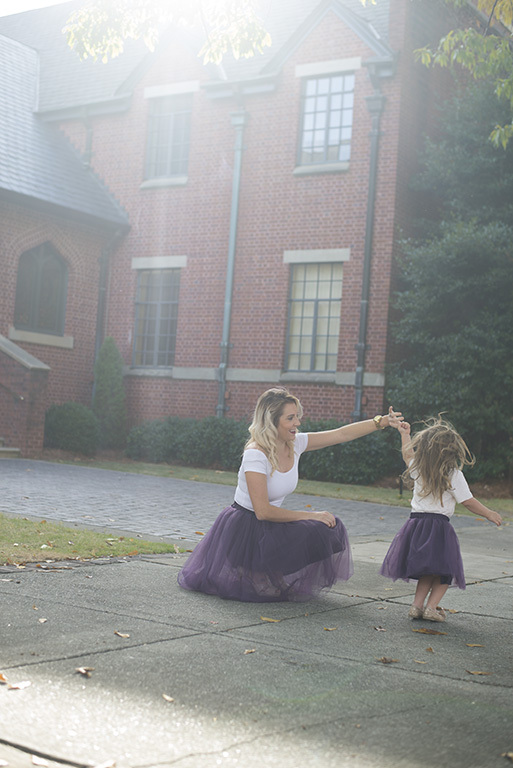 So my heart pretty much bursted out of my chest when these Mommy and Me matching tulle skirts arrived from C’est Ça New York. Seriously, how beautiful are they?! We styled them a little on the dressier side this time but I’m dying to wear them with matching Chuck Taylors with top knots. I’m swooning just thinking about it! I don’t know how long this will last or if it’s just a phase but I’m going to take advantage of it every chance I get. 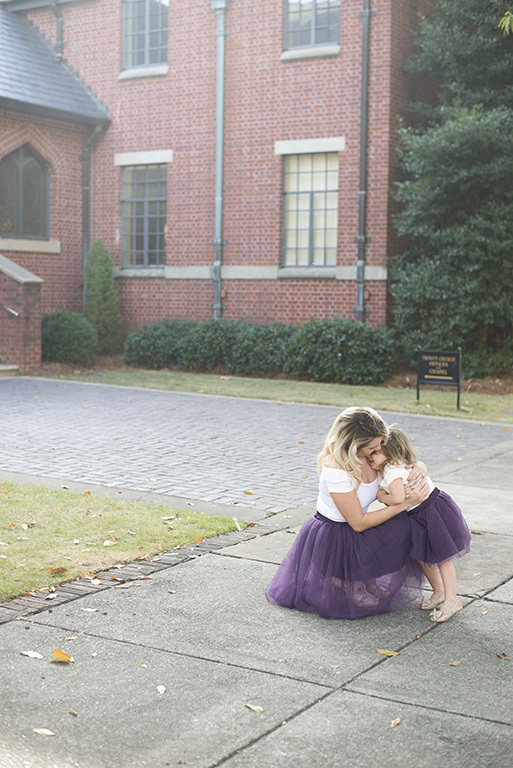 The color we’re wearing is #60 and is a custom Claire skirt. You can get your custom skirt here AND use THESAMANTHASHOW for 10% off your order! Adorable! 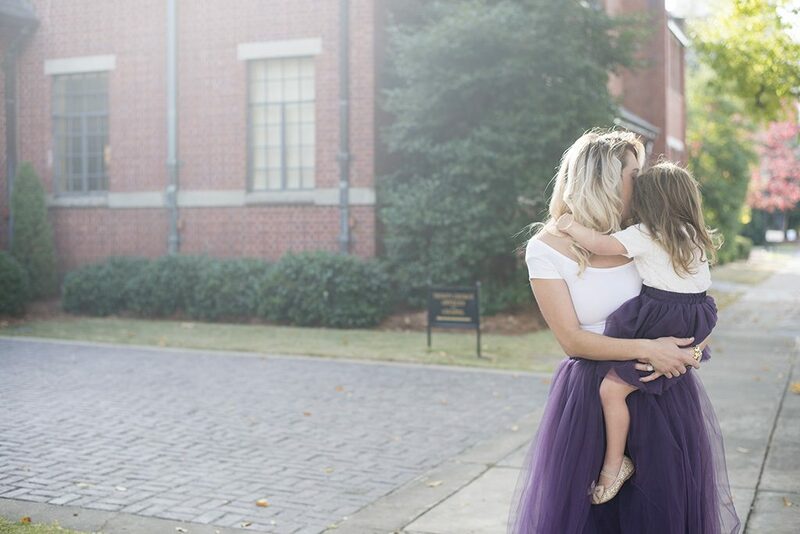 I absolutely love the purple skirt. 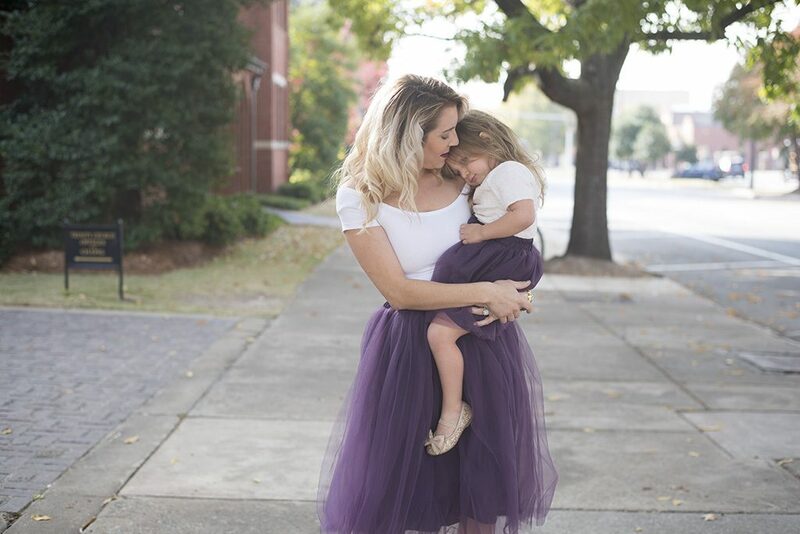 I bought my daughter and I matching tulle skirts for her first birthday and fell in love!!! Cannot wait to wear them again! SO CUTE! Y’all are absolutely adorable! I love the way you dressed up the skirt to make it more formal! I do not think these could be any more precious, Sam!